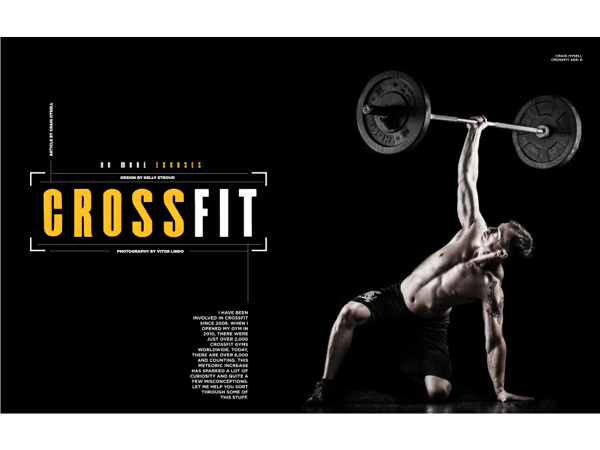 Hilton Head Magazines: CH2/CB2: CrossFit: No More Excuses! I have been involved in CrossFit since 2008. When I opened my gym in 2010, there were just over 2,000 CrossFit gyms worldwide. Today, there are over 8,000 and counting. This meteoric increase has sparked a lot of curiosity and quite a few misconceptions. Let me help you sort through some of this stuff. What is CrossFit? CrossFit, the fitness program and the sport on ESPN, are workouts made up of running, rowing, jumping, pressing, squatting, climbing, picking things up, putting things down, and other such primal movement patterns. This is packaged in an infinite manner of intervals and pairings to elicit a daily variance designed to cultivate continuous growth. What’s that mean? There are no machines, and every day is different. Boredom and training plateaus are extremely hard to come by. You never stop improving in a great CrossFit program! I could never do that, it’s far too intense. Intensity is relative to the individual and everybody starts at his or her own beginning. Good CrossFit gyms have assessment tools, beginner programs, universally scalable workout routines and entry programs that allow for the individual’s success in a group environment. At my gym, we often hold people back from what they feel they are capable of until biomarkers match up with their determination. Workout routines are challenging, not impossible. There are people with no arms and no legs who do CrossFit. You can do it too. My friend got hurt doing CrossFit. Ah yes, the big one. If CrossFit hurt everybody, 8,000 gyms in the world would not exist. Here’s the sticking point: some CrossFit gyms are terrible at training their clients just as some restaurants and some doctors are terrible at what they do. In direct contrast, some CrossFitters are terrible at listening to their coaches. And finally, sometimes things just happen. Women’s soccer is responsible for the most female ACL tears in sports; girls still play soccer. We have sports and training injuries labeled tennis elbow and runner’s knee; people still run and play tennis. Pheidippedes, the first person to ever run a marathon, died. My friend and endurance coach at our gym just ran an Ironman, and not only did he live, he had an 87:00 PR from his previous time with our training program. Yes, CrossFit can hurt people; so can walking your dog. It is paramount that your gym—and you—take every precaution to ensure this does not happen. Pick a great gym, stay patient with the program and your development, and you will do absolutely awesome. I’ve heard CrossFit is expensive. How much would you pay to have no more back pain? Hip pain? Achy knees? No more high blood pressure? Reduced stress? Alleviate arthritis? To no longer need your medication? To finally have that new body? A new attitude? Unbreakable confidence? A stable of highly qualified trainers to coach you? A program designed and tailored for you? Nutritional advice specifically for you? Community support? Of course CrossFit is more expensive than a regular gym; there is nothing regular about what we do. What is the price you put on wellness? Do some math. What would you pay for personal training plus your gym membership at a regular gym? At CrossFit, all of the above is included. CrossFit is cheap, extremely cheap. You just have to understand what you are getting. The workouts are just the tip of the iceberg. CrossFit is a franchise, right? Negative, Ghost Rider. The CrossFit business model is set up to produce affiliates and there are no “territories” in CrossFit. This means that every CrossFit gym is different, and they can be, literally, right next door to one another. If you pass a weekend CrossFit ANSI accredited certification and get cleared through the application process, you can open a CrossFit gym. CrossFit gyms pay an annual membership fee to use the CrossFit name and the similarities between CrossFit gyms pretty much stop there. Every gym is different. Every program is different. It is super important to shop around when picking the right CrossFit gym for you; and if low cost is your main concern, just remember you are going to get what you pay for. If you want professional service, you have to be willing to pay a professional price. So how can I find the right CrossFit gym for me? Everyone is different, trains for different reasons and begins training with different challenges. Finding the gym that jives with you may take a little research on your part. 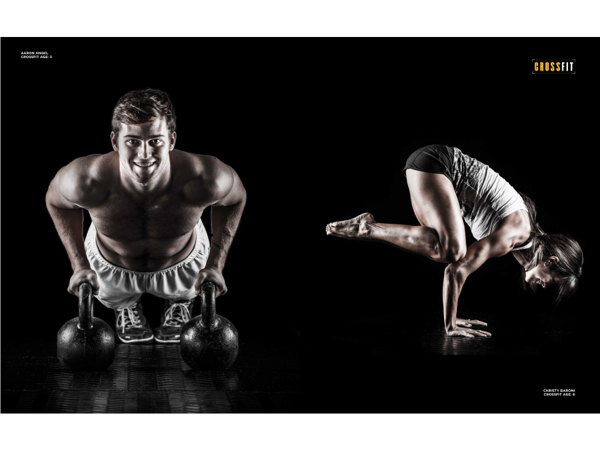 Most CrossFit facilities have an easy and free way for you to try out a workout. Take them up on it. Review the staff members’ résumés. Most gyms have staff bios on their website, and this is a great place to start, but websites often have mistakes or are outdated. Verification of your fitness professional’s credentials is simple: a call to the listed organization supplying the credential or, with CrossFit in particular, a search of their online trainer directories (trainerdirectory.crossfit.com) can get you a full list of the person’s completed certifications. Get references, watch a class, talk to the staff, ask if the programming is written in-house (how can the programming be as beneficial as possible if the gym does not program for their particular group of members?). Ask if the gym has accessory programs in areas that interest you; ask what the philosophy of the gym is and look at the class schedule, proximity to your work or home and price. Trust your Spidey senses! Should I CrossFit? If you want to change your life, make hundreds of new friends (both of those sound cheesy, but it’s the truth), can remain patient with your growth in the program and can find a gym that fits with your belief system and passes all your vetting, then yes, you should absolutely CrossFit. Don’t pick doctors at random. Eat your vegetables, smile every day, and pick your CrossFit gym like you would pick your doctor. Craig Hysell is the owner of CrossFit Hilton Head. He has helped thousands of people move along their CrossFit gym. You can learn more about him and his gym at crossfithiltonhead.com.